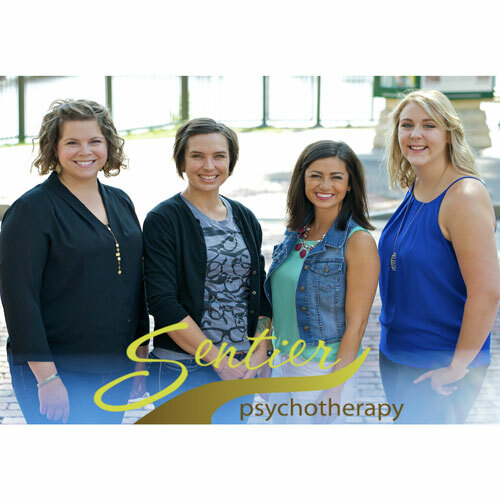 Sentier Psychotherapy in St Paul, Minnesota offers teen counseling with a focus on a variety of issues affecting adolescents. It can be hard to tell whether your teenager is just experiencing normal emotional growing pains or whether certain behaviors are warning signs that warrant professional help. During adolescence, young people begin to mature and shift their self-image from the perspective of a child to the perspective of a young adult. At this stage, teenagers begin to form an identity that will define them for a lifetime. This process of identity formation can be confusing, not only for parents, but also for teens. Read more about Teen Counseling. Family therapy is used to help families resolve conflict, improve communication, strengthen relationships, or work through a painful family situation. Family roles may be explored in order to understand how each person’s role contributes to the conflict. Family counseling often lasts less than six months and includes family members who are involved/contribute to the situation. In general, anyone who wants to improve family relationships can benefit from family therapy. Groups are a great way for teens to gain insight about certain diagnoses or topics. Group therapy usually consists of a small group of teens (5 to 8) who meet on a regular basis with a therapist. The interpersonal dynamics that exist in groups are a useful tool for teens because human beings are generally raised in a community environment (families, school, work, etc. ), and teens very often prefer to be with people their own age. Groups utilize this community mindset in order to have discussion and provide feedback to the teens about the chosen topic. Read more about Group Therapy for Teens. Our partners can evoke the greatest joy and connection in us, as well as the deepest sadness and anger. This mystery can be hard to understand, especially if the negative seems to outweigh the positive. In couples therapy people work to understand and better work with their unique partnership. Marriage counselors often focus on conflict resolution, communication, mutual understanding and deeper connection throughout the course of couples counseling. Read more about Couples and Marriage Counseling. You probably already know that something is bothering you if you are considering individual counseling. There is either something you no longer want in your life (like anxiety, depression, or loneliness) or something you do want (such as a new career, peace, healthy relationships) that that you haven't figured out how to get to. If this is true, and you have the desire to change it, you are ready for therapy. Read more about Individual Therapy. community resources, and other exciting news related to Sentier Psychotherapy!